​The South San Antonio Robotics program was originally established in 1999 at South San Antonio High School in San Antonio, Texas. FIRST Team 457 was founded by the Aerospace Engineering Club, which was made up of then physics teacher Mike Henry, one mentor and a group of ten highly motivated students. There are quite a number of firsts in our team’s history. 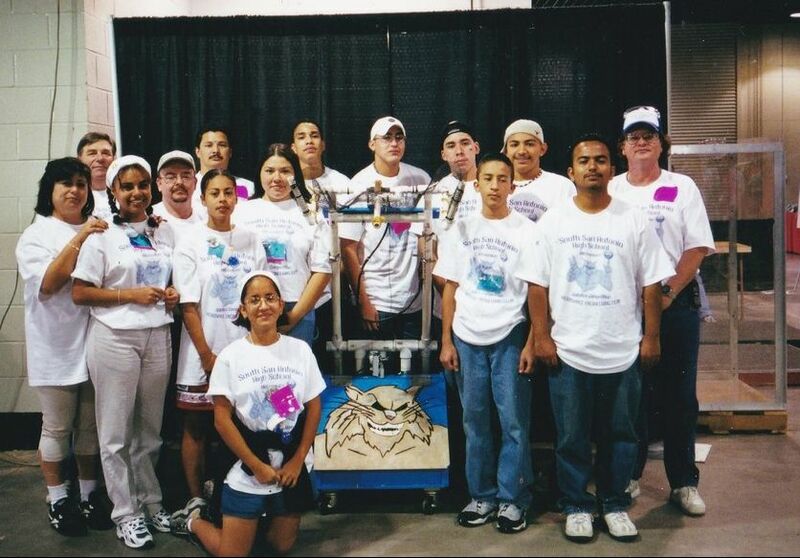 In 1999, our rookie team was the first in San Antonio to compete in a SA BEST Robotics competition. In 2000, we were the first in San Antonio to compete at a FIRST Robotics competition. The name Team Gamma was officially adopted in 2001. That year was also the year that we hit another milestone. We were the first in San Antonio to compete in a FIRST Championship event. The current team mascot and logo, the Grease Monkeys, was adopted in 2002, the same year that we won the Lone Star Regional Robotics Competition. The team officially became the Grease Monkeys in 2003. We were quarter finalists at the Lone Star Regional that year. Hard work and determination paid off for us in 2004 when we became Lone Star Regional Champions. Mr. Henry retired in 2008 and the Grease Monkeys were unable to replace him. ​The South San Antonio Robotics Program is currently in its 17th year. The class is open to all high school students. The students in the club all participate at the FRC level.